Home » EVENTS » Bruce Lee’s Enter the Dragon + Chinese Taco Event! 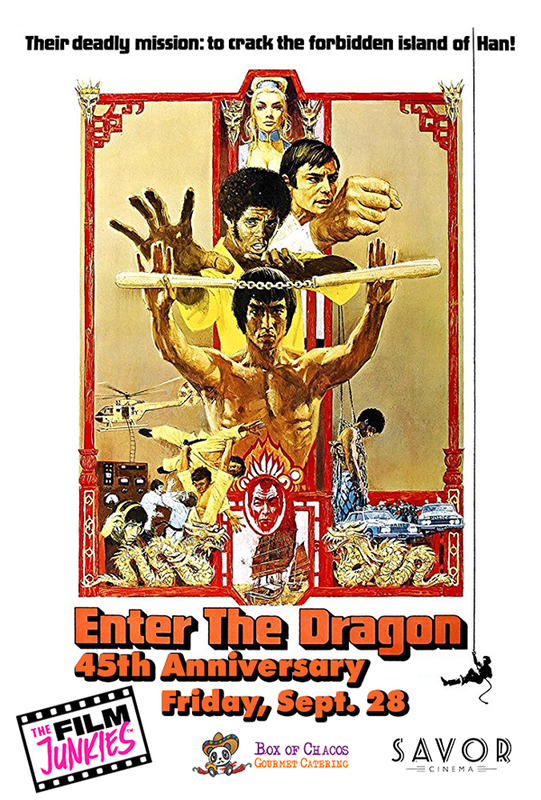 The Film Junkies host Marc Ferman will be celebrating his 45th birthday on Friday, September 28th and what better way to celebrate than to host a 45th anniversary screening of the 1973 martial-arts classic, Enter the Dragon (Newly remastered 2K presentation). To make the event even more special, we will have the award-winning Box of Chacos food truck serving the tasty Asian inspired dishes prior to the film. Special live introduction by the Almighty Chillski and live Kung Fu by Lost Legacy Kung Fu.